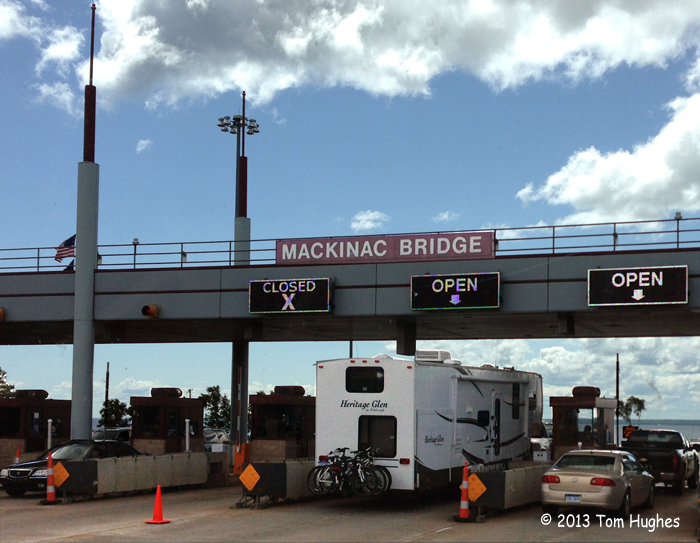 We crossed the Mackinac Bridge Sunday morning and arrived at Indigo Bluffs RV Resort in the afternoon. Most of the trip was along Highway 31 and the route reminded us of Wisconsin’s Upper Peninsula. More photos will follow especially of Sleeping Bear Dunes. A MOMENT OF CULTURE . . . Drunk History — superb new comedy show. Hey Now and Strong by London Grammar. Wow… I checked out the Indigo Bluffs website… that is some serious stuff. What is the little house? Did you get a lot with a grill and large patio? I can’t wait to see pictures! You can buy a site at Indigo. A lot of the owners put up small houses (casitas) with basic facilities — washer/dryer, shower, etc. They are very cool. WoW – London Grammar vids..
Indigo Bluffs.. cool.. Enjoy your stay there.